External Affairs Ministry Spokesperson Raveesh Kumar said India will continue to work with the British government for ‘expeditious’ implementation of the court order. India on Monday expressed “deep satisfaction” over the judgement of a UK court which ordered Vijay Mallya’s extradition after concluding that the “flashy billionaire” does have a case to answer in the Indian courts over substantial “misrepresentations” of his financial dealings. Chief Magistrate of the Westminster Magistrates’ Court in London, Judge Emma Arbuthnot ordered Mallya’s extradition, in a major boost to India’s efforts to bring back the 62-year-old former Kingfisher Airlines boss wanted for alleged fraud and money laundering charges amounting to an estimated Rs 9,000 crores. External Affairs Ministry Spokesperson Raveesh Kumar said India will continue to work with the British government for “expeditious” implementation of the court order. “We express our deep satisfaction at the judgement and note that justice has been delivered today. We thank the UK authorities for their help in this matter,” Kumar said. “We will continue to work with the UK Government for expeditious implementation of today’s court order and early extradition of Mallya to India,” he added. 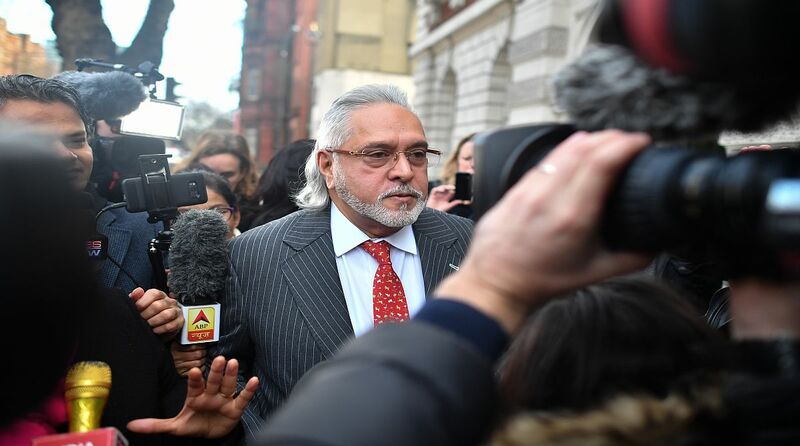 Delivering the verdict at Westminster Magistrates’ Court, Judge Arbuthnot said there is a prima facie case against Mallya and that she is satisfied that his human rights would not be infringed in Barrack 12 of Arthur Road Jail in Mumbai, where he is to be held on being extradited. The court accepted the Indian government’s contention that because Mallya has such a “high profile”, his trial in India will be under great scrutiny and he will be able to raise with the court any overly prejudicial publicity. Addressing the jail conditions, the judge expressed her satisfaction with the evidence provided by the Indian government, describing the video of Barrack 12 at Arthur Road Jail as an accurate portrayal of the conditions which will apply to Mallya. However, the court made a specific reference to special medical conditions being made available to the businessman, who is described as “far from healthy”. The court also dismissed the defence’s attempts to dispute Indian prison conditions as a bar to his extradition on human rights grounds, saying the video of the Barrack 12 of Mumbai’s Arthur Road Jail, where Vijay Mallya would be held, “gives accurate portrayal and has been recently redecorated”. Mallya can file for a permission to appeal in the UK High Court against the ruling. The judge’s decision to send Mallya’s case to UK Home Secretary Sajid Javid can be appealed with the UK High Court’s permission. Law entitles the person to be extradited to make an application for permission to appeal in the High Court within 14 days of the date of the Chief Magistrate’s ruling. The 62-year-old has been on bail since his arrest on an extradition warrant in April last year, and the high-profile extradition trial had been going on since December 4 last year. A series of hearings have taken place in the last more than a year, though only seven days had been initially earmarked for it. Vijay Mallya owes Rs 9,000 (including taxes) to 17 banks in India. Mallya had last week said he offered to pay back the full amount of the principal loan he owed to various banks.